Hi everyone! I will review a soap in this post. This is the Palmer’s Raw Shea Soap. When I hear Shea butter, I think of supple hydration. 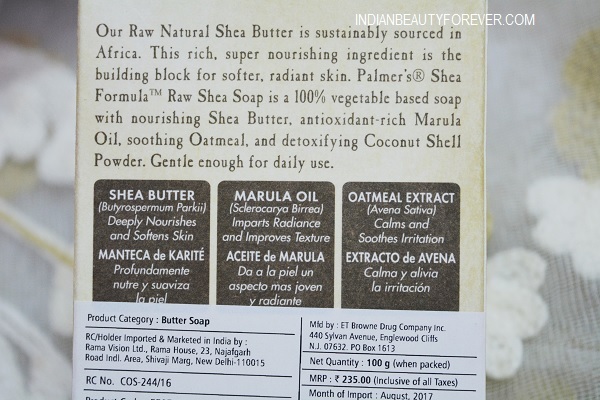 Shea butter just like cocoa butter is extremely hydrating and is used in skin care products meant for the dry parched skin and winter care products. The soap comes in a carton and is a rectangular one. The soap has a gentle smell which is quite refreshing and unlike the perfumed soaps, it smells quite natural. I remember the first time, I used it for the bath. It was extremely slippery due to its hydrating properties. It lathers well and the moisturizing lathers can nourish the dry skin. While your skin is dry and need something that can revive and soften it, then you can use a soap like this. 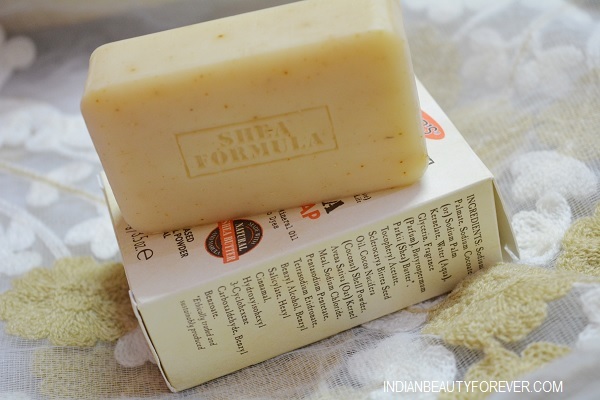 Shea butter in this soap is sourced from Africa and is pure shea butter. It is raw and unadulterated this is why the soap bears all the natural qualities of this amazing product. Post the bath, it gives smooth and soft skin which is hydrated and not dry. 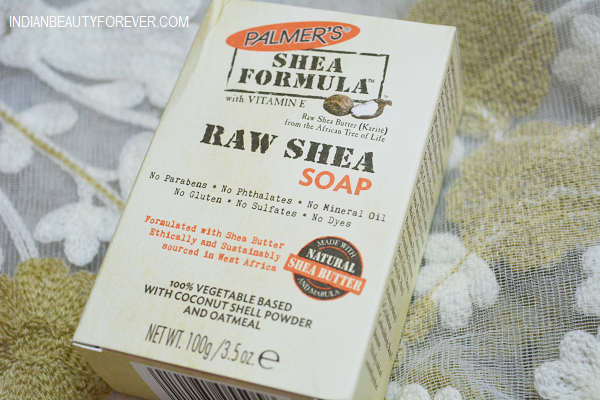 Palmer's Shea Formula Raw Shea Soap is a 100% vegetable based bar that gently cleanses the skin and detoxifies without stripping skin of its natural oils. It also has the finely ground Coconut Shell powder taht gently removes dead skin cells while Oatmeal Extracts soothes the skin rashes and Shea Butter maintains moisture balance of the skin. The important thing that lot of you would be interested in, is that this soap has 100% Vegetable Base and is free of Parabens, Phthalates, Mineral Oil, Gluten, Sulfates or Dyes. 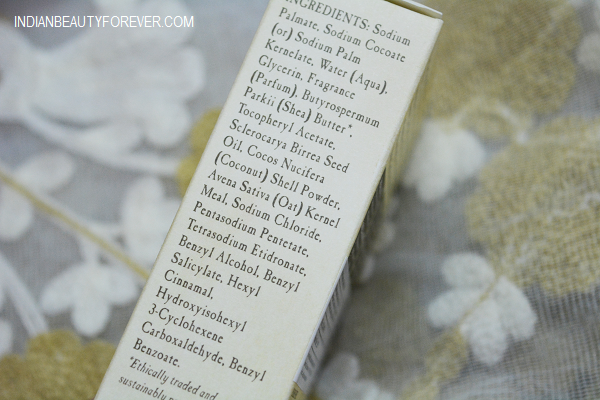 I really liked this and think that people with dry skin will like it for its moisturizing features. 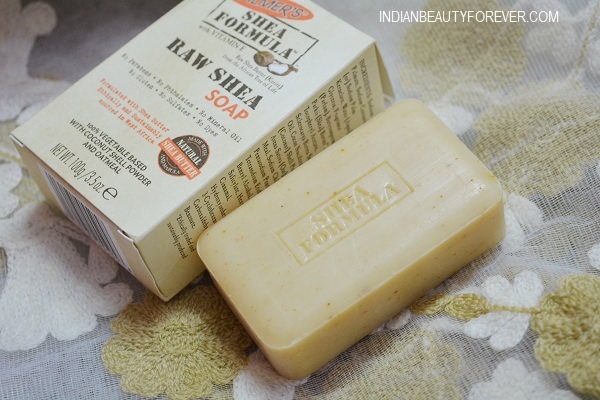 Have you used Shea soap before? Which is your favorite soap at the moment?